Round neck jumper by INCLUDE with raglan sleeves. Bang-on-trend with added snuggle factor! 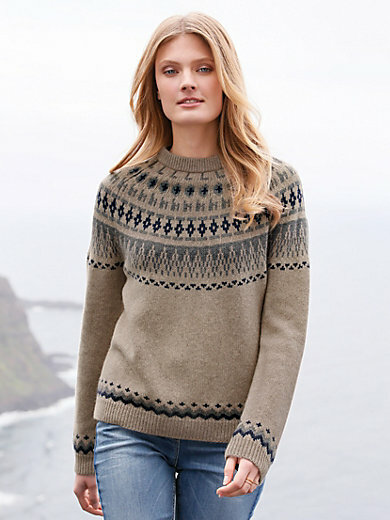 A warm, cosy winter jumper with beautiful Norwegian-style inlays. Made from precious 6-ply cashmere yarn in top-class premium quality. Straight, casual cut with ribbed cuffs. In 100% cashmere. Length approx. 24ins. The round neck jumper should be washed by hand.